It’s important to enlist the best water damage restoration companies when you have a problem. That means a high quality of work and the highest level of service. The motto of Integrity Restoration & Remodeling Contractors LLC is, “We do what’s right even when no one is looking.” We have been practicing what we believe since 2002 when we first began providing fire and water damage restoration, mold removal, and storm damage repairs to our clients in Roswell and surrounding areas. Our goal is to be the company you can trust when you experience any sort of water damage. In order to do a job right, we believe in being extremely thorough from the very beginning. Sometimes water damage is subtle. It is not always visible to the human eye. You may not be aware of a mold problem until we come to your home and provide a mold inspection. If you suspect you have an issue with black mold or water damage, call us immediately. We will discover the problem and follow all of the steps to remediate the damage. We provide inspections and accurate estimates, water extraction, cleanup, and restorations so that there are no lingering signs or side effects of damage. No matter your cleanup or restoration issues, we can meet your needs anytime—day or night. Give Integrity Restoration & Remodeling Contractors LLC a call when you have fire, storm, or water damage. All of those services don’t amount to much if you can’t get a problem taken care of as soon as you are aware of a problem. 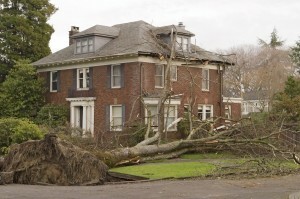 We understand that damage can occur at the most inconvenient of times. That’s why we provide 24-hour emergency water damage repairs and other restoration services to the Roswell area. Call us any time and our professionals will immediately begin work to restore your property to its original state of comfort and safety, if not better. We are an IICRC-certified firm and each of our technicians, estimators, and project managers are certified in their respective specialty areas. No matter the issue, you can be certain that we will leave your home safe, clean, and free of harmful substances.